What if a game knew exactly how much it was stressing you out? With its biofeedback interface, indie adventure game Nevermind wants to put your own heart rate to the test. 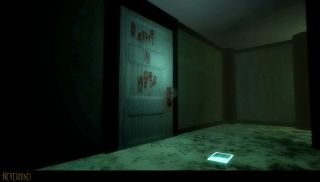 The horror project has launched a Kickstarter to move the game from academic test project to fully-developed commercial release. Players in Nevermind take on the role of a Neuroprober, a doctor who can venture into the minds of patients to uncover and treat the source their psychological distress. But because Nevermind can also read a heart-rate monitor that players wear, the game can react to the specific anxiety level it is creating, according to creative director Erin Reynolds. "You play the game, you subject yourself to all these terrifying, horrific experiences and the game knows when you get scared, when you get stressed," Reynolds says in the Kickstarter's introduction video. "When it detects that you're starting to get a little anxious, it starts to get harder. The game is going to react dynamically to how you're feeling internally." It's important to point out the game is also being designed to be played without any heart rate monitor hardware. Nevermind will simulate the biofeedback mechanic through player and camera movement, according to the project's description. The potential for this kind of interface is huge, especially if similar experiences are ever paired with virtual reality headsets such as the Oculus Rift . A game that changes depending on how I feel as well as in response to what choices I make is an innovation I'd be more than little curious to try out. The Kickstarter runs through March 6 and has a crowdfunding goal of $250,000. For more background on the world of Nevermind, check out these official screenshots .